Low Carb Chocolate Macadamia Fudge is a great snack or after dinner treat. The smooth, creamy fudge is also a great fat bomb! It’s creamy chocolately, and has pieces of Macadamia nuts for the perfect crunch. Yum! 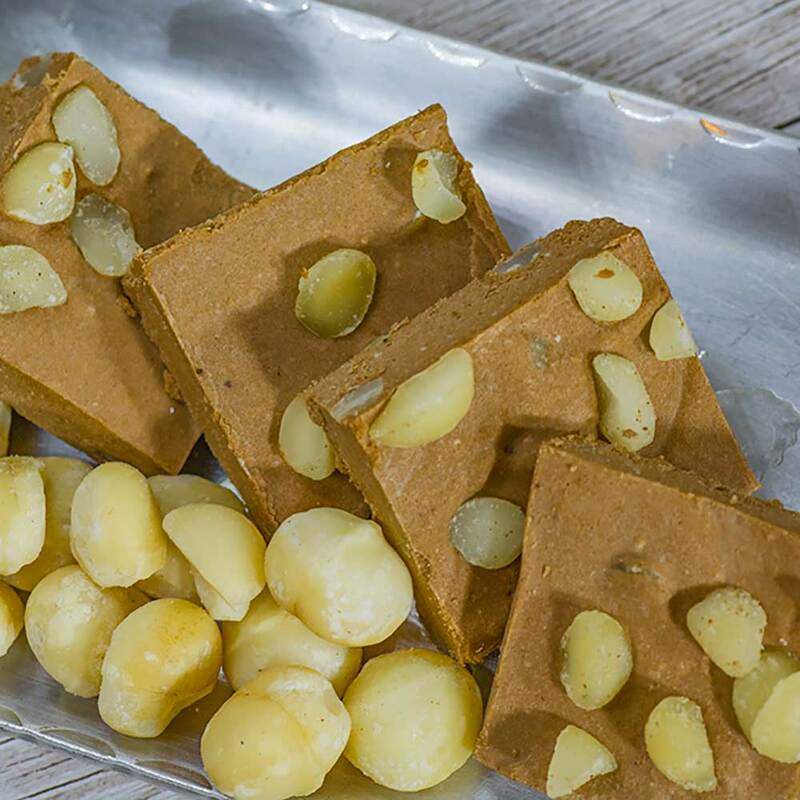 This low carb chocolate macadamia nut fudge recipe makes 24 servings. One serve is 1 square of fudge. 1/2 cup of Raw Macadamia Nuts, chopped. Line a rectangle slice tin with parchment paper. We use this 11 x 7in brownie tin. Melt the butter and leave to cool slightly. Hot butter will cause the mixture to curdle. 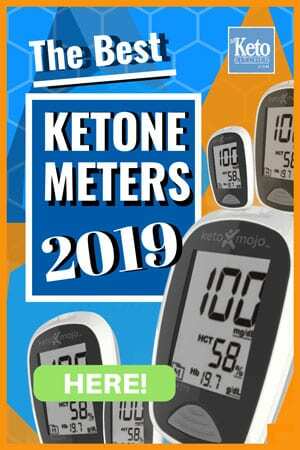 Mix cream cheese, cocoa, erythritol and vanilla extract with a hand mixer on low speed to prevent the cocoa from coating the kitchen. Slowly add the butter whilst the mixer is on low speed and mix for 3 minutes. Add the chopped macadamia nuts and combine. Pour the mix into the lined tin and refrigerate for 1 hour before cutting into 24 squares and enjoying. The fudge is best served from the fridge as it will melt if left out for too long. Low Carb Chocolate Macadamia Fudge is a great snack or after dinner treat, it's creamy, chocolately, and has pieces of Macadamia nuts for that perfect crunch. Yum! Line a rectangle 11 x 7in tin with parchment paper. 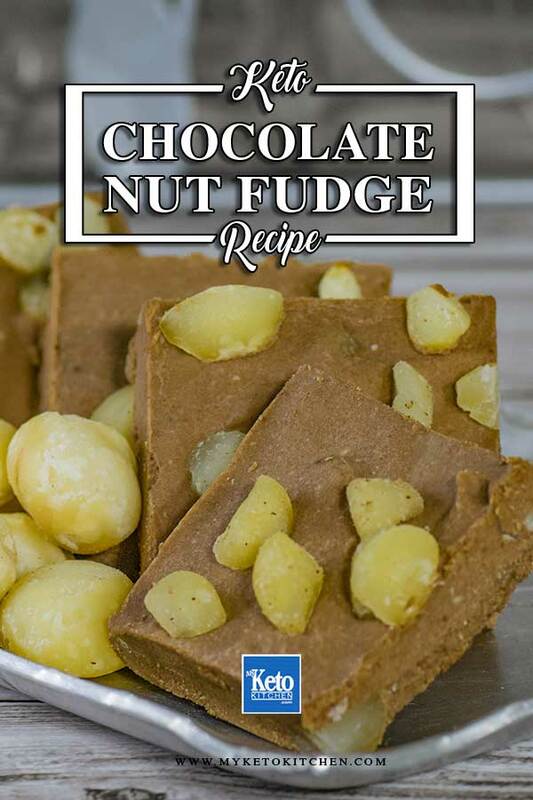 To make a larger batch of Low Carb Chocolate Macadamia Fudge adjust the serving amounts in the recipe card above.